BREATHTAKING waterfront property on the NORTH EAST RIVER! 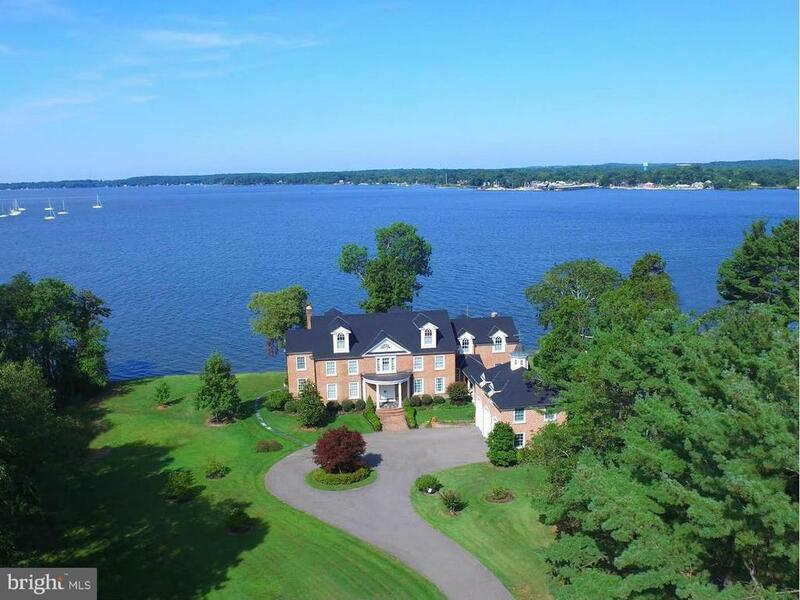 Enjoy 262 of water frontage with sandy beach, dock and unobstructed water views. Youll enjoy AMAZING SUNSETS from most every room 365 days a year! This classic Georgian home was TOTALLY RENOVATED in 2002 to exacting standards with all FIRST CLASS AMENITIES! It is nestled on over 7 acres and features over 6, 400 square feet of living space! It features a 3 story foyer with circular staircase, 2 fireplaces, solid Cherry & Mahogany wood floors and a spacious dining room that seats 24 comfortably! The Gourmet Kitchen with wormy chestnut floor and Top-of-The-Line Appliances and Granite counters will impress any chef. There is also a wet bar with 2nd Bosch dishwasher, mini fridge, icemaker & granite. Wine Room, first floor Guest Quarters and Bath, Home Office, Formal Living & Family Rooms complete the first floor. The 2nd floor has His & Her Baths and an Extra Large Closet in the Master Suite, two additional Bed Rooms with Hall Bath, and a Bonus Room for whatever suits your needs. Beautiful Moldings & Chair Rail throughout! The current owners have paid attention to the details! Full Length Rear Patio for entertaining or just relaxing and taking in the views! Covered Colonnade leads to the 3 Car Carriage Garage with wonderful Office Space/Game Room & Powder Room above! Home is LOCATED just 2 MILES to the Town of North East with FABULOUS DINING and SHOPS! Ask me about the WATER TAXI that will pick you up at YOUR DOCK! You wont just be buying a HOME, Youll be buying a LIFESTYLE! Visit 80 Orchard Road, North East, MD on Youtube for more videos and information! Dont miss this one!Prequalified Buyers Only Please. Directions: Take Main Street through the town of North East (road turns into Turkey Point Road) Turn right onto Hances Point Road. Orchard Road will be on your right. Look for the brick pillars and white fence. Sign will be posted.